The "gated-access approach" (where contact with any professional requires either a preexisting relationship, or the intervention of a contact of theirs) is intended to build trust among the service's users. LinkedIn also allows users to research companies with which they may be interested in working. When typing the name of a given company in the search box, statistics about the company are provided. These may include the ratio of female to male employees, the percentage of the most common titles/positions held within the company, the location of the company's headquarters and offices, or a list of present, past, and former employees. Clearly, LinkedIn is one of the major players in social networking that we all should endeavour to understand and leverage. 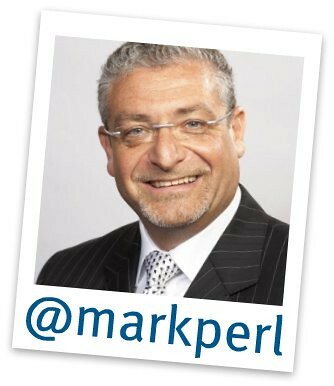 We have therefore brought in one of the most respected LinkedIn trainers in the U.K., Mark Perl, to speak to you. Mark's presentation will help you optimise your presence on LinkedIn, and help you be efficient in the time you spend in the network. Please book for this hot topic below. Payment: £10 in advance, or £15 on the door, on the day (places permitting). Venue: Holiday Inn, Egerton Road, Guildford, Surrey. Time: 18.30 to 19.15 - Networking. Refreshments: Available to buy in the hotel.